Down by two runs late to Black Rock, the Fairfield 11-12-year-old Little League softball team rallied. Fairfield scored three runs in the fifth and held on for a 4-3 victory and the District 2 championship Tuesday at Unity Field. Fairfield advances to the state sectionals with games being played in Seymour and Shelton. Fairfield opened sectional play on Thursday against Darien and will play North Branford Friday and Seymour Sunday in Shelton. "It feels amazing," Fairfield starting pitcher Brittany Romero said. "The score was so close and knowing that we came back is just great." The win didn't come easily. Black Rock opened the game with aggressive and effective hitting. Leadoff hitter Alyssa Collazo opened the bottom of the first with a triple to right field. Shortstop Nene Capales reached next, scoring Collazo, and advancing to second on an errant throw. After stealing third, Capales set her eyes on home, and on a close play at the plate was called safe on a steal to put her team up 2-0 after the first inning. Collazo, the starting pitcher for Black Rock, appeared to suffer an injury in the second inning after a line drive struck her in the knee. Following a few moments with her coaches, Collazo decided to stay in the game, and went on to pitch all six innings. "She caught a line drive off of Anna (Rasmussen) and went down pretty hard," Black Rock coach Hector Collazo said. "But she fought through it and I was proud of her. She stayed in, she didn't want to come out and she pitched a great game." Collazo's play didn't suffer, and her team was up 3-1 after scoring again in the fourth. However, Fairfield answered with a big fifth inning. Romero singled and eventually scored on a passed ball to start the rally. One batter later, with the bases loaded, outfielder Matty Russell hit a two-run single, including what proved to be the go-ahead run. Romero finished things off in the final two frames, striking out five of the last seven batters she faced. 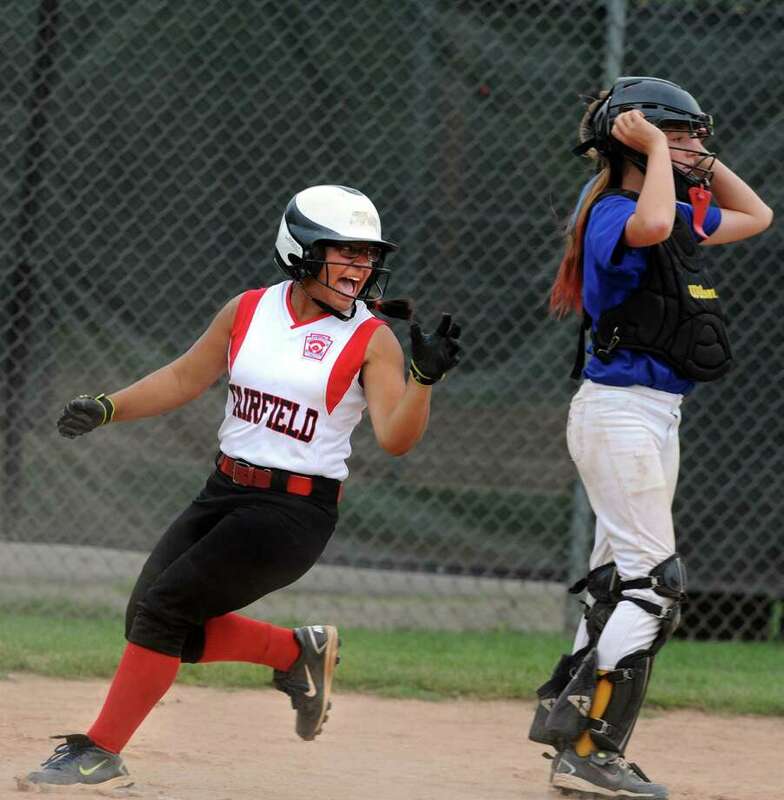 "It was a very good softball game," Fairfield coach Jarry Rasmussen said. "That's a heck of an opponent over there and we knew it would be tough, even though we've beaten them earlier. But they gave us everything. I'm proud of how we made the adjustments to come back." Batteries: F--Brittany Romero (W) and Anna Rasmussen. BR--Alyssa Collazo (L) and Gigi Speer.